Synchro was originally developed for skin burns and it has unrivalled regenerating and healing capabilities. Synchro regulates skin functions and restores its natural defence system. It is beneficial for all skin types, from oily to very dry and sensitive. Synchro is not only used on the face but also on the bust, body, hands and scalp in case of fresh scars or skin inflammations. In the morning, Synchro can be used by itself or after your specific cream. Apply a very small amount to the whole face and eye and neck areas. 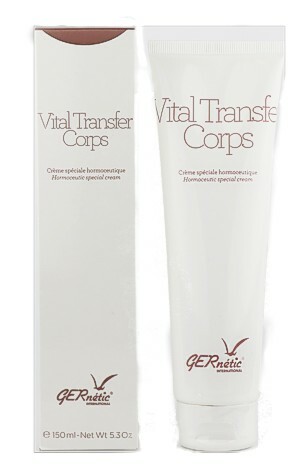 You can then apply any Gernétic protective cream. At night, use Synchro by itself or you can follow with the application of your Nucléa or Cytobi super nutritive creams. The ultimate defence against ageing. This cream gives your skin an optimal protection against ageing by providing all the essential elements for its health. Cytobi is a super nourishing cream suitable for all ages when the skin is fine, dry, sensitive, or inflamed and is especially recommended for treatment of skin problems. Cytobi gives your skin the ultimate defence against ageing by providing all the essential nutrients it needs. In the case of inflammation and skin problems, it is extremely soothing. The skin defence mechanism is also strengthened. Cytobi is specially recommended for skin problems such as psoriasis erythema, rosacea.